Do you wish you could squeeze a bit more out of each and every day? It’s not always easy to focus on solopreneur productivity in today’s fast paced always ‘on’ world. There are certainly many distractions that prevent us from getting more done. Twenty years ago, experts predicted that we’d be automating a lot of our work allowing for more leisure time. I have yet to see that reality come true. In fact, I think time management is harder today than twenty years ago. Luckily, there are many digital tools out there that can help us do things in a more productive manner. I’m not talking about robots and artificial intelligence here. 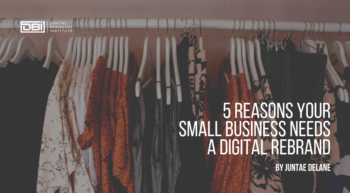 This post is a practical look at some basic digital tools that have helped me save time and money producing digital products, social media campaigns, and keeping up with overflowing inboxes. Over the past few years, I’ve had the opportunity to test many of them and, through some trial and error, I’ve come to count on certain ones more than others. Here we go! Like many people, I have business and personal email accounts and get anywhere from 50-80 emails a day. Yes, I am guilty of using both Hotmail and Gmail. However, using the Outlook App on my Android phone (also available on iOS) allows me to easily filter my emails. This tool for email organization saves me significant time because I can read the important notes first in my ‘Focused’ tab. I can then read less important emails in my ‘Other’ tab when I have the time, such as waiting in a line or on public transit. I can even ‘Schedule’ emails to be read at a later time. An extremely useful feature in the Outlook App is the ‘Send Availability’ function. It is quite simply the easiest way to incorporate calendar availability into emails with people you are coordinating meetings with. I no longer have to wait until I am at my laptop to type the available times and days into my email. I can do this directly from my phone with a couple of easy selections and the dates are embedded in the email for me. Try it, I think you’ll love it too. I once was a social media novice. I went on Facebook or LinkedIn from time to time, but did not grasp the true power of social until I launched my online business a couple years ago. From Facebook pixels and ‘Like Audiences’ to LinkedIn and Twitter advertising, the best way to get started is to just do it! Once you get the hang of it, you’ll probably begin posting articles to share with others. The easiest way to curate content that you want to share is to save them to a central location. There are many tools that can help you collect and save content from a variety of digital sources. My favorite tool is Flipboard (Android and iOS). It has a beautiful interface and is so easy to use. It enables you to get the latest articles on the topics that you and your audiences care about. You can even create your own Flipboard magazines. Take it for a spin and let me know what you think. Check out my magazine here! 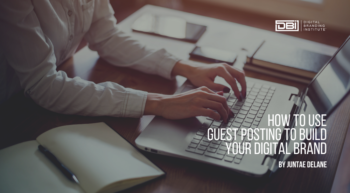 You’re probably already familiar with posting to Social Media and curating content. 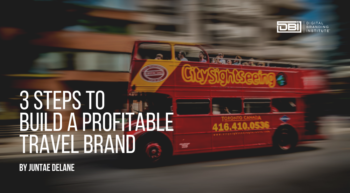 However, what if you’d like to begin taking the next step in creating your personal or business brand by offering value to your industry peers and potential clients. If that is the case, you are likely wanting to schedule a selection of messages over a period of time. The two scheduling tools I prefer most are Buffer and Hootsuite. Buffer is a great place to start playing. They have a simple interface with many useful free resources. For beginners, scheduling posts on Buffer can be enough. However, I’ve become somewhat of a social media nerd and quickly found myself wanting to do more. If you are approaching that stage, I recommend Hootsuite. This tool rocked my world when I was running my business. I used the free version. In a few hours, you can be up and running with a dashboard, listening for keywords and engaging in conversations with people who care about the same things you do. You can also monitor and engage directly with industry influencers and quickly schedule content across all of my social media accounts. Be sure to check out the Hootsuite tutorials to get more familiar with the functions. Remember, not all social channels should be automated with your content. It’s called social media for a reason. For instance, say you automated your twitter feed with an article and a major disaster has just taken place. It would reflect pretty poorly on you and your brand to continue sending out your content while the twitterverse is consumed with tweets related to the event. Determine your social media strategy, play with the tools, experiment with the content and study your results over time. Check out this get started guide: Social Media Checklist. When it comes to graphic creation, Canva has been my go-to tool for a couple of years. I absolutely love how simple it is to use and produce professional results. I truly believe that it is a game changer and have used it to create social media profile banners, event posters, Facebook Ads, and even slides for presentations. Simply select a design option from their list of optimized templates, insert a Canva image (as cheap as $1) or upload your own and you are off to the races. You can edit the image any way you want, add text, icons, the possibilities are endless. Be sure to check out their Design School tutorials for easy to implement tips. Are you in the cloud yet? What’s holding you back? 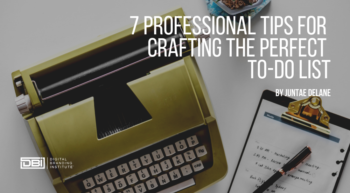 As a solopreneur, you no longer have to be tied to a single location to be productive. You can centrally store files in the cloud, then continue to work on them from your tablet at the local coffee shop or rehearse an upcoming presentation on your smart phone while waiting for your kids at swimming lessons. Cloud storage also allows you to share documents with team members across global locations. Note: this tool may be commonplace for many, but I really started leveraging it in in 2015, so for me, it was a true game changer. Dropbox, Google Drive, or OneDrive (which comes with Windows) are all great tools. I mostly use OneDrive and work on documents across all my devices (Laptop, Tablet, and Smartphone). When I was working for a local tech start-up, we used Google Drive and Google Docs. Team members were often updating the same document (different parts) at the same time…often from different continents! So, there you have it. You are now armed with digital tools that will help you save time and money, while producing professional results. I have tested out many products in these categories, but have come to rely on these for their ease of use, time savings, and results. What are your thoughts on these digital tools? Are there any amazing apps that help you that should be on this list?